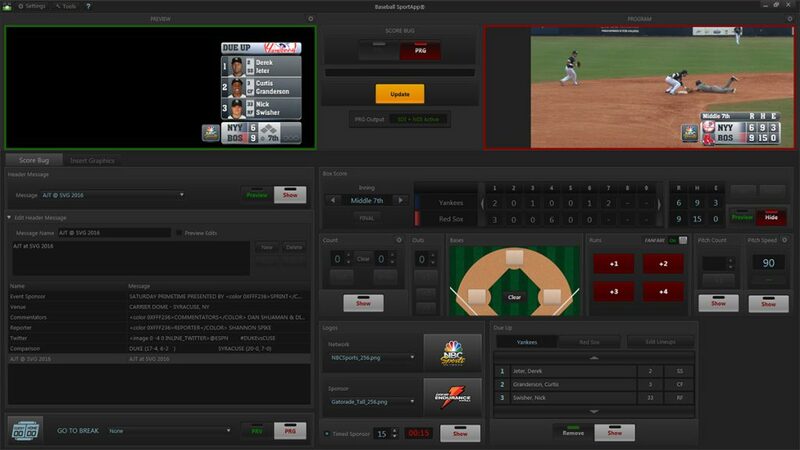 Every SportApp™ uses sport-specific playout panels for intuitive ease of use. Panels can be controlled manually or through connected data feeds from various scoreboard controllers such as Daktronics, OES, Whiteway, and Fairplay. Support for other controllers can be added on demand. Applicable panels will change information based on League Rules to assist operators in broadcasting with the correct graphics/information for that league. *SportApp™ Software can only run on the LiveBook GFX Sports Graphics System. Software not sold separately. 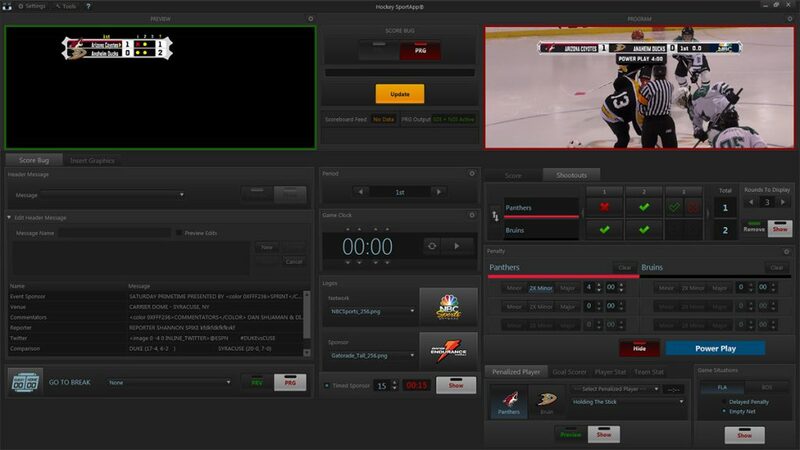 The real-time Preview Window allows you to queue up graphics and data, while the Program Window allows for real-time monitoring of the system’s HDSDI or IP (Tricaster/VMix/Wirecast via NDI) output. The LiveBook GFX™ Supports full HD animated Network & Sponsor Logo Insertion. Logos can be easily added on game day by simply dropping into the appropriate folder. The timed sponsor feature allows for accurate sponsorship animations while removing tedious work from the operator. All game settings are controlled through a Settings Window in each SportApp. From this dialog you can select the appropriate League to apply game rules. 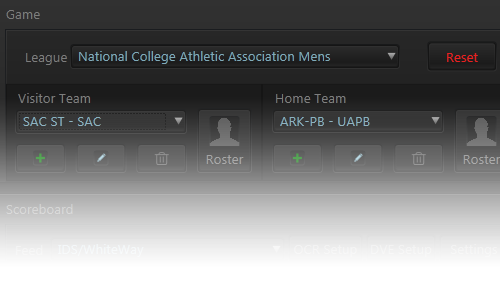 Select preloaded Home and Visitor Teams and utilize our easy add, delete or edit team dialog for quick game day changes. 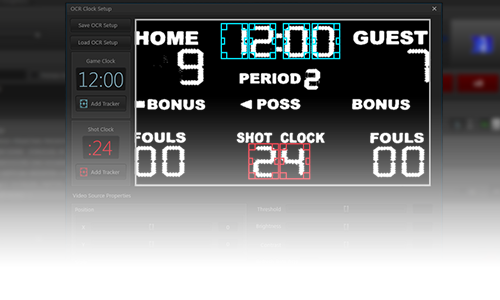 Periods/Quarters, Game Clock, Shot/Play Clock, Penalty Clocks, and Score panels can be controlled manually or through connected data feeds from various scoreboard controllers such as Daktronics, OES, Whiteway, and Fairplay. The new DVE OCR (Optical Character Recognition) is a built in feature that allows a camera feed of the scoreboard to be fed into the LiveBook GFX and be read as true data. 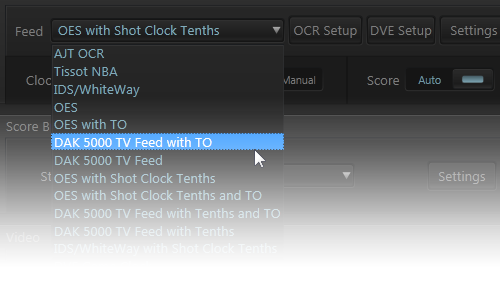 The easy to use OCR Feature takes minutes to set up, and simulates a clock feed for your broadcast. 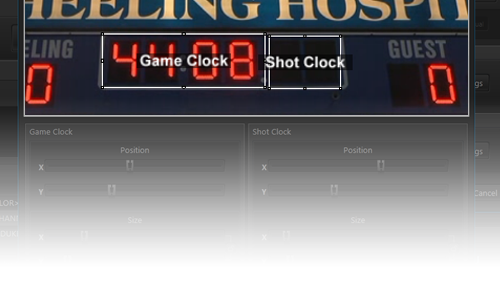 If no scoreboard controller is available the SportApp® DVE Clock feature can overlay the Game Clock and Shot/Play Clock onto the scorebug, allowing it to animate in and out with your graphics. AJT System’s Insert Graphics feature allows you to go to air with a wide range of graphics, such as lower thirds, full screens, watermarks, line ups, and much more. This feature can also let you take full screen clips up to 1080P to air, and utilize Player Driven Data from preloaded Rosters to quickly insert player and team information, including headshots and logos. 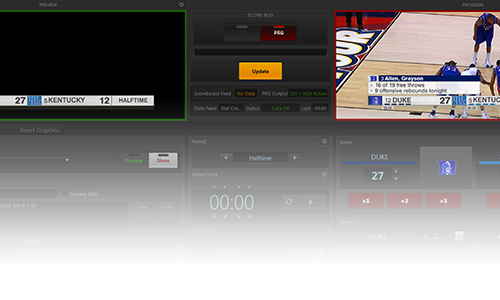 With an FTP connection to a Stat Crew or Presto Sports machine, the LiveBook GFX can read and generate live in-game statistic graphics quickly and easily. Through custom Stat Builders, the operator can build different layouts of stats ahead of or during the game and push them out to air in seconds. The revolutionary “Refresh” button assures any prebuilt stats are using the latest information before taking them to air. The SportApps support rosters via manual input, or imports from excel and CSV roster files – including ESPN3 file formats. 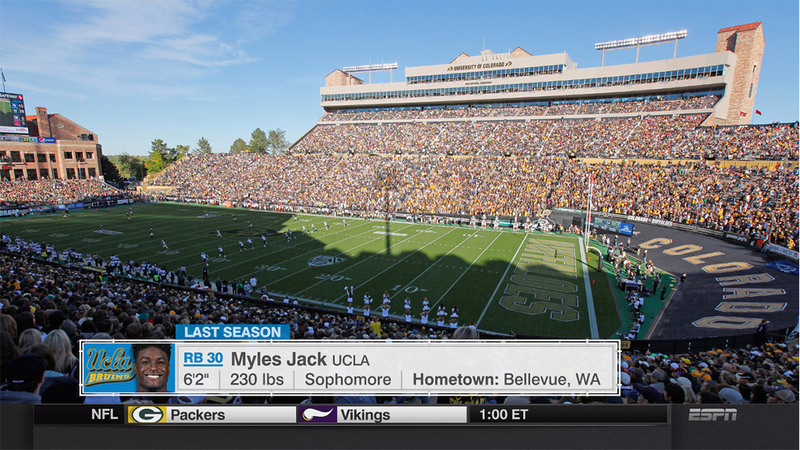 Roster information, including headshots, can be utilized by a wide variety of graphics. Through Player Driven Data the roster information can allow operators to quickly and easily build player-specific insert graphics that grab team and player information automatically upon player selection.